"Private tour 3 weeks north to south Vietnam"
Well this is the first time I have ever written a review. We have been very independent travellers but now are slowing down physically but didn’t want a tour group. Arranged a private tour with Authentik for Vietnam. Cannot praise them enough. The whole journey from my first contact was easy and I cannot praise Authentik enough. The price was very competitive, the service outstanding and suggestions from them were wonderfull. The trip rang like clockwork. Everyone was prompt and I felt reassured when we arrived late due to flight delays our contacts were always there. The other reassurance we had was a local contact for each region if we had any concerns which wasn’t necessary. Also they called us to reassure us of any pickup times for flights etc. everyone one was so friendly and our guides knowledgeable. The vehicles were of a very high standard. They were very keen on feedback as too how they could help us. "Visit to Hanoi, Ning Bing and Halong Bay in Cruise"
Visited Vietnam from 17th March-24th March, 2019 on our office meeting. So we requested Mr. Hoang for arrange a short trip on 17th ( half Day City Tour), 18th , 23rd and 24th March. tour arranged by Authentik Vietnam travel. Couple of month's back my sister visited Vietnam and Cambodia with her office colleagues for 9 days and the trip was arranged by Mr. Hoang of Authentik Travels. She only recommended me to contact Mr. Hoang for our trip to Vietnam. I would say that Authentik Travel is very professional and dedicated towards their work. We got a very nice hospitality n suggestions from Mr. Hong. Best part is that Mr. Hoang arranged Vietnam Visa arrival letter free of cost for one of our colleagues who got his passport renewed at the last moment . When we used the Vietnam government website for our visa arrival letter, we paid USD 17 for single entry. Nice people nice country. It was very enjoyable n memorable trip. Mr. Hoang also recommended us India Restaurant since few of colleagues were vegetarian. I would definitely recommend to contact Mr. Hoang( Mob. No. +84969729983) if you are planning to visit Vietnam, Cambodia, Thailand and Myanmar . "It was very enjoyable n memorable trip." Recently visited Vietnam last week, tour arranged by Authentik Vietnam travel. They are so professional and dedicated towards their work. We got a very nice hospitality n suggestions from Mr. Hong din n authentik travels. Nice people nice country. It was very enjoyable n memorable trip. "Outstanding trip to Vietnam with Authentik Vietnam Travel"
Four of us just returned from a wonderful 15 days trip to Vietnam from the north down to the south. We found Authentik Vietnam travel through TripAdvisor. Their service was fantastic! Our Travel Consultant Ms. Chu Anh was responsive, easy to work with and very professional. She arranged for us hotels, guides, drivers, boat trips, 4 domestic flights and pick-ups in every locations. The hotels were comfortable and centrally located and the tour guides were well prepared and spoke good English. What is also important that they were flexible and made the trip stress-free. Pricing was very fair and reasonable, especially for the quality of the hotels, guides and activities we did there. We highly recommend Authentik Vietnam Travel services. It would be a good and safe choice. "Vietnam tour organized by Authentik Travel is a perfect trip"
Vietnam tour organized by Authentik Travel is a perfect trip. Returning yesterday from our 4 persons, 15 days trip in Vietnam, that included Hanoi, Tam Coc, Ha Long, Hue, Hoian, Ho Chi Minh, Mekong Delta and Phu Quoc we agreed that it was the best trip ever for all of us. Vietnam turned out even more beatiful than we expected and perfect organization of that trip made it possible to visit so many places without fatigue. Our hotels were perfect, comfortable cars with guides always on time. The agency's suggestions were always right. We only regret that the trip is over. My husband and I along with my brother and his wife spent 12 wonderful days touring VN and 3 days in Siem Reap under the quidance and expertise of Authentik Travel. Hoang, the principal of the company, was the most gracious and helpful host from beginning to end. He organized the most amazing 5 star trip for us, with drivers, tour guides , comfortable luxury vehicles and experiences we will never forget. There was nothing better than arriving at airport to a smiling tour quide, driver , cold water and trip to our luxurious five star hotel. The Apricot Hotel in Hanoi was absolutely stunning. Hoang made sure all our tours were memorable, diversified and true to the culture we had come to experience. Some days were so full, they were tough, but we totally enjoyed the experience of each one. Hoang met us at his Authentik office on the first day and showered us with fond greetings and gifts from his beautiful country. We would all not hesitate to recommend Hoang and his services to anyone who wants to have the most awesome and dare I say inexpensive experience ever. I visited Vietnam in January with my wife and parent-in-laws. It was a great experience to book the trip with Authentik. So glad I found them. There were several back and forth email exchanges to make adjustments to the itinerary. My coordinator Candy was always very prompt and responsive to our needs. All the elements of the trip were on time and exactly as mentioned in the itinerary. We got a very warm welcome (and surprise gifts!!) from the entire staff when we reached their office in Hanoi to settle the payments. Kudos to this company I wish them all the success!! 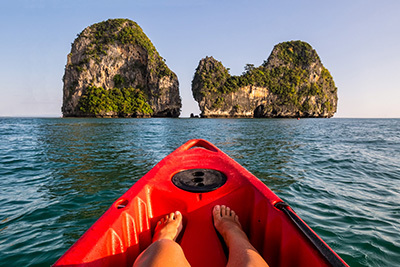 "Authentik Travel –“ The Travel Professionals” - Well organised and Efficient"
When my wife and I decided to go to Vietnam for a holiday, we did a quick search on the internet and found Authentik Travel. Initially we were a bit wary of doing our travel arrangements online but after reading through a few reviews about Authentik Travel, we felt that we were in good hands. We sent them an email to make enquiries and within a few hours, Candy replied with a fantastic itinery lined up for us. Candy was very friendly, understanding, helpful and professional. She was always prompt in her replies and answered all our queries thoroughly. We felt really warm and welcome by the team at Authentik Travel always – right from the our first contacts by email, to the SMS we received when our plane first touched down at Hanoi, to the visit to their office, the surprise gifts and afternoon tea, all the staff at Authentik Travel, the travel guides, the drivers and the hotel staff. They are such a wonderful team that work so well together. The guides and drivers were all very friendly, knowledgeable and prompt. The hotel that we stayed at was really nice, clean, courteously staffed and in a very good location. On our last night in Hanoi, we returned late to our hotel but Candy still went out of her way to ring us after hours to confirm the arrangements for our departure early next morning and to say thank you and farewell. Authentik Travel and in particular, Candy was really professional and fantastic and I HIGHLY RECOMMEND them. I would have no hesitation in using Authentik Travel again in the future. They really exceeded our expectations. "I would like to recommend on Authentik agency for its marvelous professional arrangement"
I would like to recommend on Authentik agency for its marvelous professional arrangement. We were 4 people travelling in Vietnam and we got a full arrangement for our trip. We had an excellent service, a polite and professional one, fare prices 'including transportation, guides, hotels and activities.